Like his fellow Raybeats, Don Christensen didn’t spend his youth soaking up the rays and riding the waves – after all, there is no surf in Nebraska. 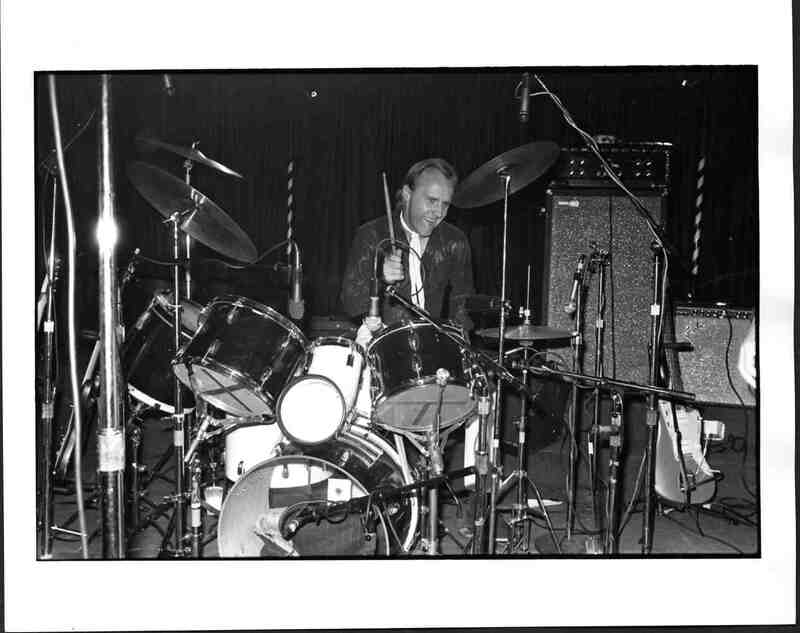 But, he did spend a good portion of it pounding out surf music on the skins of his drum set. Prior to that, though, he entertained the thought of going the way of Bob Dylan. Apparently, his interest in the folk scene wasn’t as sincere as he originally thought, but his interest in rock ‘n’ roll was certainly evident. Within three months of purchasing his drum kit, he could play “Wipe Out” better than any other drummer in the area, making him a favorite catch for local bands. After finishing high school, he attended the Kansas City Art Institute, where he worked on his painting and explored his musical horizons. He spent a couple of years playing with a white blues-rock band that went under a variety of names, the Cadillacs and the New Action Army among them. According to Christensen, they were dubbed “the MC5 of Kansas City.” Because of their affinity for playing “black” music, they were given an opportunity to perform at a rally to generate support for the release of an incarcerated Black Panther (which one, Christensen can’t recall). It was a move that didn’t come without a price: In a day when musicians’ unions were still segregated, they found themselves unable to join either of the local musicians’ unions – the black musicians’ union wouldn’t accept them for the obvious reason of skin color, and the white musicians’ union blackballed them because of their appearance at the rally. Despite the fun he had making music, Christensen didn’t view it as a way to make a full-time living. 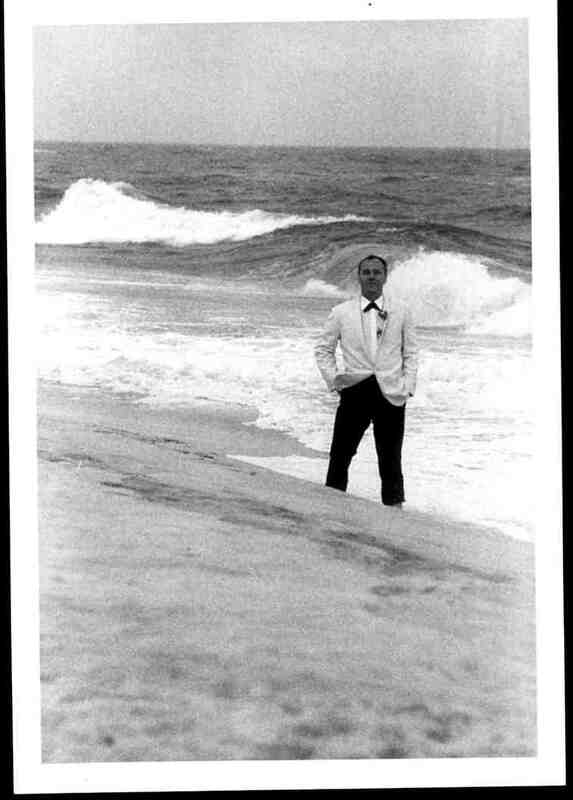 He was still interested in art when he ventured to New York City in the summer of 1971. Half of his drum kit was stolen upon his move to the city (he was in the process of moving it into his apartment when it was heisted), which may have diminished his interest in drumming if not for an ad that ran in the Village Voice: “It said, ‘Guitar player looking for his Keith Moon.’ I’ve never been a Keith Moon fan, but I answered the ad.” And he was back in the drummer’s seat again. A few years later, he met a cab driver from Florida named Bob Musial who had a band called the Loose Screws. Many of the musicians were brought to New York from Musial’s native Florida, but the guitarist and bassist, Jody Harris and David Hofstra, respectively, were from Kansas. The latter-named gentlemen, Harris in particular, would play important roles in Christensen’s musical undertakings over the next several years. 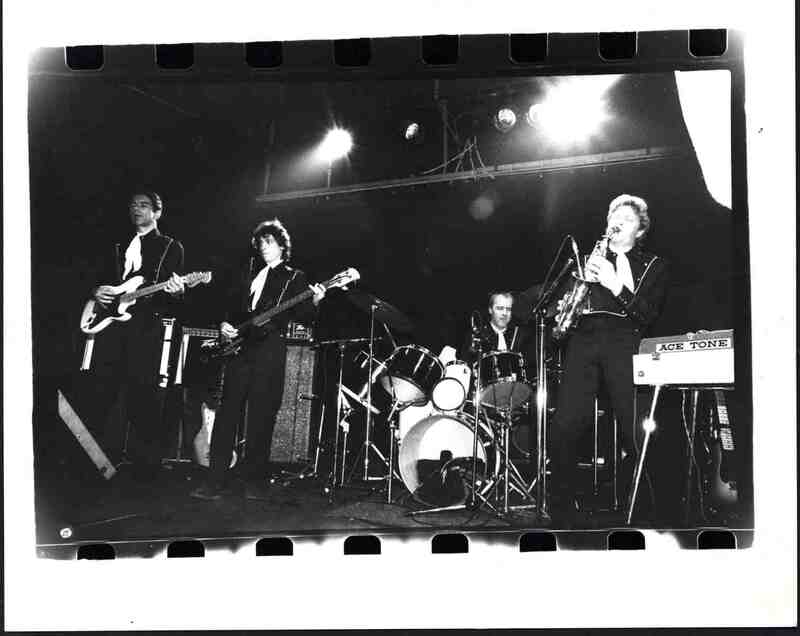 After the dissolution of the Loose Screws, Christensen found himself working with Harris in a band led by James Chance, a founding father of the No Wave scene. Christensen was once again reunited with Jody Harris and he found a new ally in bassist George Scott, someone he had actually met before that at a record store where Scott worked. He viewed Scott as a musical “visionary,” a great collaborator who was very supportive of new musical endeavors, including Christensen’s. 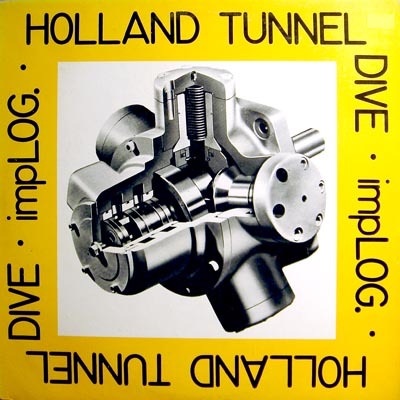 Christensen's first impLOG single, "Holland Tunnel Dive"
Scott also invited Christensen to help him form the Raybeats. It was a project that would keep Christensen busy for the next five years, four years beyond Scott’s death. Following the dissolution of the Raybeats, Christensen scored soundtracks for approximately fifteen short films by Faith Hubley. He helped found the recording studio the Living Room, eventually selling out his part of it. His long-time association with Philip Glass led him to help build The Looking Glass Studios in Lower Manhattan, and, for the past several years, he has been running Orange Mountain Music, a record company created for the purpose of helping those who study Glass’s music. Also, in the early 1990s, Christensen got back to one of his early loves: painting. He has had exhibits in New York, Miami and Philadelphia, and he has a painting studio in Brooklyn. And, to top it all off, he has, in many respects, come full circle musically. He occasionally gigs with a reunited James Chance and the Contortions; they did a summer tour of Japan in 2005. Then there’s the Band of George, a group that includes Christensen’s Loose Screws’ alumnae Bob Musial, Jody Harris and Dave Hofstra, that gigs about once a month. Christensen enjoyed his time in the Raybeats. Among other things, it provided him with an opportunity to work with some good musicians and explore some new horizons that instrumental music had to offer. And it also allowed him to win over a fan following so loyal that it still persists. And to think he almost bought a banjo. It’s Only A Movie! available on iTunes! Guitar Beat available through iTunes! New Jack Ruby release (on vinyl and CD)!